Workplace communications is particularly important at critical junctures of the team building stage, such as when the team meets one another for the first time. Conflicts usually arise due to different communication styles. Acknowledging that differences exist is not enough to avoid conflicts, we need to understand the different personality types, communication styles and biases to develop targeted strategies. Our "Communicating with Influence" series of programs equip participants with specific knowledge, skills and techniques to develop self-awareness of their personality and communication biases (or filters), develop environmental awareness of others’ styles, so as to communicate and lead with effectiveness. In fact, emotions drive us in ways stronger than we care to admit. Unspoken resentment, frustration, envy, disappointment often sabotage workplace performance in unseen ways and get in the way of meaningful relationships between co-workers. Unfortunately, people seldom take the time and effort to navigate and explore the complex labyrinth of their emotions. It is as if emotions are like things in a "Mysterious Pandora's Box" which they want to avoid. Be in tune with your emotions. Emotional intelligence (“EQ”) is the ability to use emotions effectively, and it’s the foundation of high-performing relationships. Being in touch with your feelings allows to manage stress levels and communicate effectively with other people, two skills that help us succeed in leading and working in today's fast-paced, uncertain world. Unlike IQ, which does not change significantly over a lifetime, our EQ can evolve and increase with our desire to learn and grow. Team or Division leaders and managers who want to come become more effective and efficient leaders. Individuals who want to up their interpersonal communication game and utilize skills to progress in the workplace. This course features our coaches pulling back the curtain and bring participants into the depths of their emotional space, and explore themes of emotions, such as resentment, envy, fear, and how they can get in the way of performance. The program also teaches how to develop your emotional intelligence and provides useful insights into the behavior patterns of people and their underlying motivations. You will learn how to communicate more openly, deal constructively with resistance and disruptive team behavior, and understand the triggers that spark both positive and negative reactions. Through a mix of discussion and practical exercises, you’ll develop awareness and practical strategies for being in touch with yours and other’s emotions. This word conjures up a sense of dread among many. The word “net” suggests a “scatter-gun” approach to knowing as many people and collecting as many name cards as possible by the end of the night. The word “working”, well, just sounds too dreary. Especially for introverts, networking can sound like a daunting prospect, or at best, a “song-and-dance” routine of smiling and talking to strangers. Does it really have to be like that? In this workshop, Our coaches will share with you the networking techniques that will help you take a more elegant, sophisticated and value-based approach to your networking activities. We live in a world more interconnected than ever. People’s attention spans are getting shorter and shorter. They are bombarded with multiple messages from so many sources that they are struggling to keep up, let alone make sense of them all. If you are unable to communicate your ideas and messages effectively and quickly, you’ll lose them quickly. As an administrative worker, you constantly have to juggle the competing demands of multiple stakeholders – your bosses, your bosses’ bosses, your bosses’ subordinates, customers, suppliers and the media. On top of having to make sure that you “get your facts right”, you are also faced with a time-challenged, skeptical and even critical audience. If you are unable to make your points clearly and effectively, your effectiveness will be effected. This course sees our Coaches bringing a new light to your communication techniques. 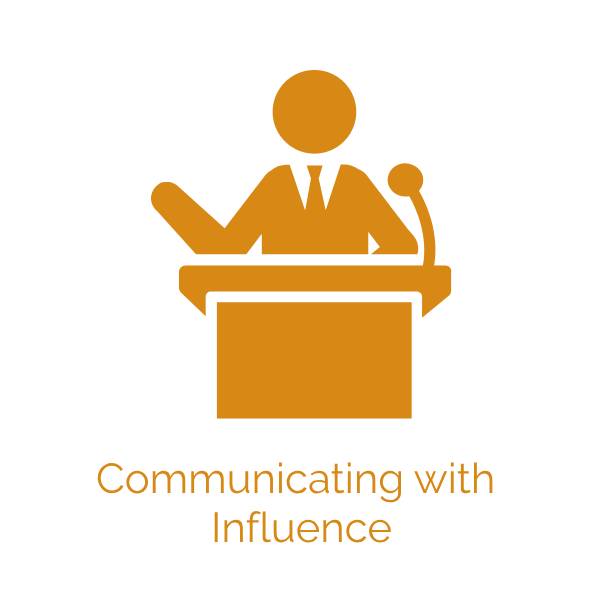 He will uncover ways to approach key stakeholders and through his workshop you will be equipped with tools to communicate in high stakes, high pressure situations. Learn More by Clicking the images above.